Chalk Paint® Has So Much Functionality! 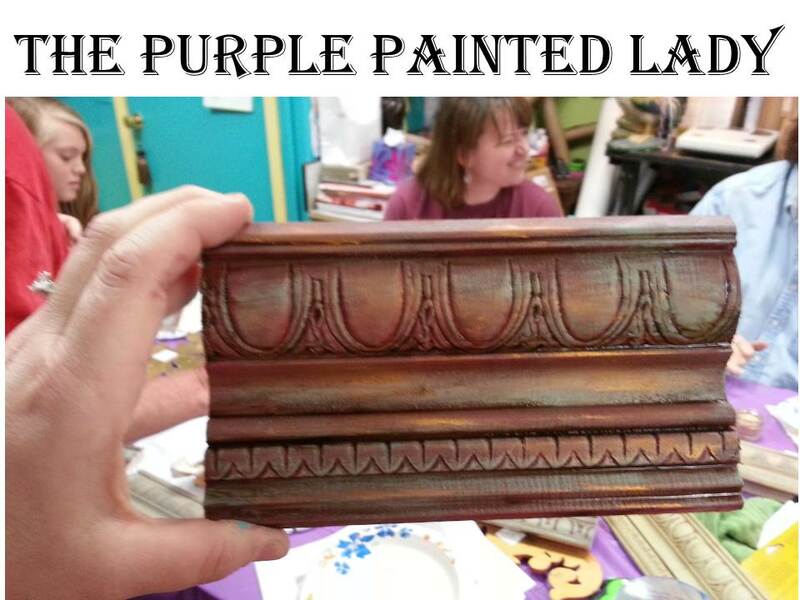 I always enjoy hosting our Chalk Paint® decorative paint by Annie Sloan BASICS Workshops. First, I get to meet people who are creative, fun and obviously, enjoy their lives. But also because I always learn something new myself. In a recent BASICS Workshop, as always- everyone creates their own sample boards to take home. While making them and completing the class steps, I encourage each student to have fun and try something new, perhaps from something different from what the person sitting next to them is doing. We are always impressed with how amazing the pieces come out and also – how different they can look by just doing one small thing different. In class we create a sample board using two different colors, layering them and using a dry brush technique. Then we apply a dark wax glaze and some French Gilding Wax. Typically we apply the dark wax glaze as the second to last step. We brush it on and then normally, wipe it off so the board is dry. And our last step is to apply the French Gilding Wax, which is that coppery metallic color on the sample board below. At our last BASICS Workshop, one of our fabulous students named Lauren- decided to approach this project slightly differently. She wanted to leave more of her Dark Wax Glaze on, instead of wiping it off. While the glaze was still moist, she continued to move to the next step of adding the French Gilding Wax. Again, the Mineral Spirits in the Dark Wax Glaze was still moist, so when she applied the French Gilding Wax- it caused it to be thinned out and basically, was like becoming a Gilding Glaze. Lauren also chose to apply her Duck Egg Blue paint minimally and blended it more into the Primer Red Chalk Paint® I think her piece looked fantastic! 1. 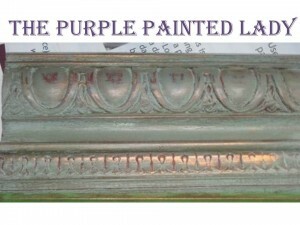 Try using your Chalk Paint® decorative paint by Annie Sloan products in different ways! Explore making a wash, mixing paint into some Clear Wax, change the timing of when you traditionally apply or remove product. Don’t be afraid to play! 2. Workshops are a great way to expand your product knowledge. They are fun and you will get to meet some other fantastic and creative people! 3. You will always learn more from a hands-on workshops taught by a stockist compared to a video. Thanks to everyone who came out for this workshop and I hope to get the opportunity to meet you at one! This entry was posted in Annie Sloan, Customers, How To by Tricia. Bookmark the permalink.